Large industrial high capacity fans, blowers and ventilators, high temperature stainless steel ventilators, SST blowers and fans, high pressure combustion fan blowers, material handling radial fan ventilators. Sales of fibeglass FRP, aluminum and special alloy blower fans, standard industrial blowers - utility fan sets, PVC fans, axial flow vaneaxial and tubeaxial ventilators, special OEM fans and blowers. We are engaged in the manufacturing and sales of a full line of OEM and industrial fans, blowers, ventilators heavy duty industrial blowers, high pressure fans, pressure blowers & heavy duty industrial ventilators. Over the years, we have acquired wide expertise in industrial air moving and are able to provide the highest level of customer service to our clients. 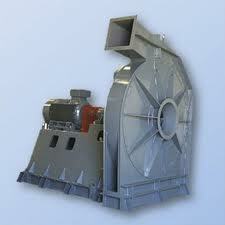 We are capable of Design and Manufacturing of Industrial Fans and Blowers. Our products range includes Single-Width Single-Inlet Fans, Forced Draft Fans, Induced Draft Fans, Primary Air Fans, High Pressure Blowers, Dust Collector Fans, Industrial Mechanical Draft Fans, Air Testing Fans, Double Inlet Fan Wheels and Wheel / Shaft Assemblies. 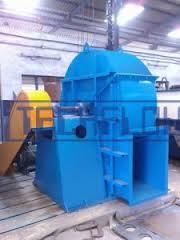 In accordance to the application it is used for or as per the samples provided by our clients. Unmatched product quality is assured through our industrious team that deploys the finest quality raw material and uses the best modern manufacturing machinery.
. Sales of Daltec, ABB, Flakt, Flaktwoods, Woods, MK Plastics, Robinson Industrial, Garden City Fan, Loren Cook, Jen-air, Jenn Fan, Aeroflo, Grainger, Greenheck, Kice Fan, ILG Industries, Canada Fan, Industrial Air, Ceilcote, Breidert, Anderson 2000, Solar and Palau, Strobic air, Trane, TCF Axial fans. The HP AF fans are also available with single-thickness airfoil ST wheel designs for slightly contaminated gas streams and alternate performance. QA fans have been selected for well over 100,000 industrial and commercial installations worldwide. The SQA fans are known for their exceptional durability and efficiency, and are continually updated and expanded to meet today’s requirements and tomorrow’s visions. This versatile innovative design packs maximum performance into a minimum footprint. Canada Blower’s SQAD is the direct drive alternative to the SQA fan. Size for size it delivers the same performance and efficiency in a more compact arrangement. All SQA fans are available for quick delivery. Heavy gauge steel fan housings are welded by AWS welders to assure structural integrity with extended durability. Flanged housing edges add to the fan’s exceptional rigidity. Canada Blower’s exclusive hyperbolic spun steel wheel cone optimizes the smooth stable air flow across entire operating range. Fan shafts made from SAE 1045 carbon steel are turned, ground and polished to assure a tight bearing and hub fit. They are also sized to operate at least 20% below the first critical fan speed. Arrangement 9 fan bases are pre-punched for popular motor frames, and feature threaded belt tension adjustment and positive locking. All fan models are furnished with pre-punched flanged outlets for solid connection to system ductwork and to match the optional fan outlet damper. The housings are easily rotated without disassembly to simplify installation and relocation while operating efficiently in all four discharge positions. Open inlets, slip fit inlets and punched flanged inlets are available to meet installation requirements. Structural angle assembly matches fan inlet or outlet flanges and allows fastening of ductwork for a flange-to-flange connection. Designed to control air flow at low initial cost, fan outlet dampers have punched flanges on both ends to simplify fan and duct connections. Parallel blades are standard with opposed blades available. Air volume is controlled manually or automatically by electric or pneumatic actuator. For varying or partial load applications, Canada Blower’s Inlet Volume Control (IVC) provides precise air control and greater efficiency than an outlet damper. IVC is nested within the inlet cone. Air volume is controlled manually or automatically by electric or pneumatic actuator. Bolt-on box simplifies duct connection when a horizontal connection is impractical. Assures fan performance when a sharp turn is required at the fan inlet. Available on Sizes 12-1/4 and 13-1/2, Class I only. Temperatures to 200°F. Aluminum fan wheel standard on Sizes 8-3/4 and 10. Steel wire screen mounts within the inlet cone or outside the inlet vanes when furnished with IVC. Split steel or aluminum plate is designed to reduce leakage through the drive side shaft opening. Leak-resistant contact shaft seals are also available. Shaft seals are not gas tight. For temperature applications over 300°F, an aluminum cooling wheel is required. Maximum temperature is 650°F. The metal guard encloses the shaft and bearings. For easier lubrication, extended grease fittings are recommended. For easier lubrication of belt drive fans, fittings are mounted on the bearing support gussets and lube lines extended to the bearings. The guard is fully enclosed with a removable cover. The flush mounted door features quick opening clamps and gasket. Bolted door or insulated plug type is also available. A 1-1/2" half coupling is welded to the lowest point of the housing. Available with or without drain plug. Belt drive fan and adjustable motor base are welded onto a unitary base of structural steel channel. Vibration isolators also available. Vibration isolation T-rails are mounted on anti-vibration springs to isolate all rotating components. AMCA Type B and C spark resistant fan construction. Maximum temperature is 200°F for Type B and 650°F for Type C.
Numerous special paint and corrosion resistant coatings are available to meet the most stringent requirements.